When a dark but forgotten secret re-emerges to claim the Kaldwin throne, players must reprise their role as a mystic imbued assassin in Dishonored 2. 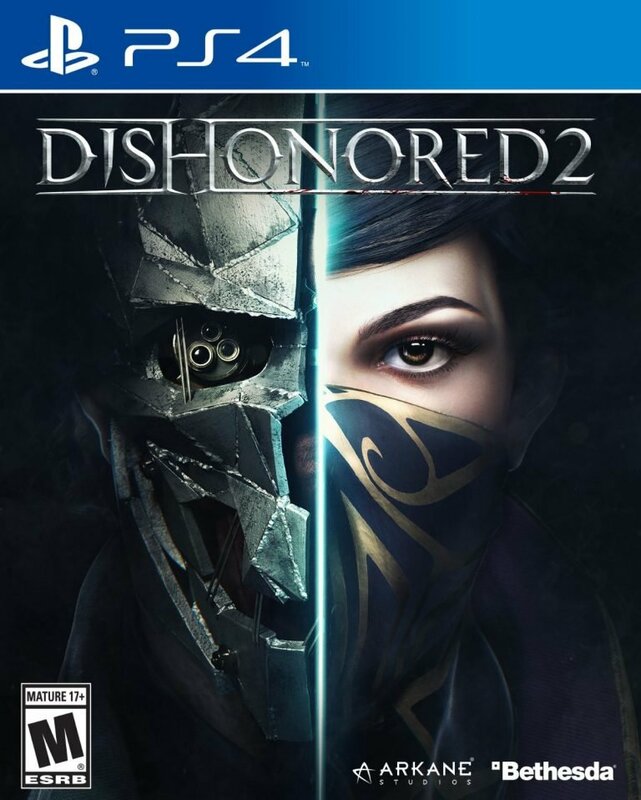 Sequel to one of the best first-person action titles of the last generation, Dishonored 2 builds off the powerful gameplay of the original game in a number of new ways and gives players more choice in how they can tackle their objectives. Add in a new lore-enriched setting coupled with a heavier focus on despicable villains, and this game ended up being one of the most fun experiences I’ve had so far in 2016. Dishonored 2’s story is set 15 years after the events of the first game with the young Empress of Dunwall castle, Emily Kaldwin, and her Royal Protector, Corvo Attano, attending a remembrance ceremony in honour of her late mother. The role of Empress has become a hard one for Emily to cope with in recent months thanks to the new appearance of a royal-killing assassin known as the Crown Killer, thought to be Corvo taking out Emily’s enemies. Tensions continue to rise with the appearance of the immortal witch Delilah, who claims to be the late Empress’s sister and rightful heir to the throne. 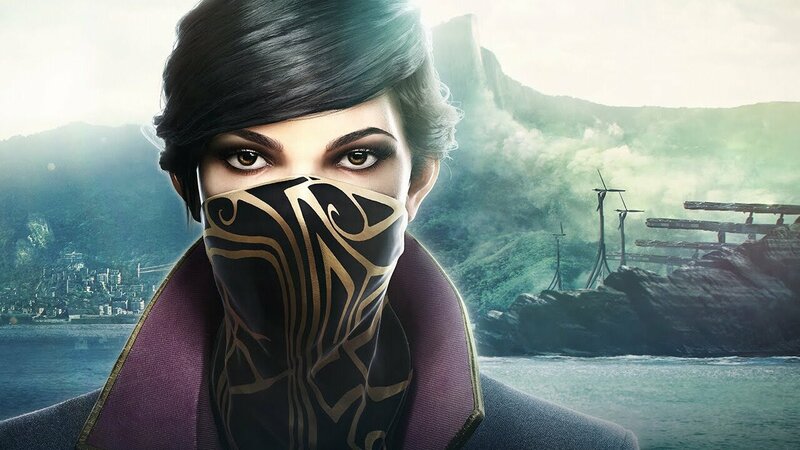 After this event players make their first critical decision in Dishonored 2: whether to reprise their role as Corvo or try a fresh experience with Emily. Whichever character players pick, the other becomes locked out for the rest of the campaign. Now on the run from the very people they’ve sworn to protect, players must find out the secret to Delilah’s immortality by hunting down all of her lieutenants for answers if they ever have a hope of taking back their home. Fundamentally the two characters will experience the same story, and they feel identical to each other during gameplay. The big differences between the two are their ability sets and dialogue. During my first playthrough of Dishonored 2 I gravitated towards playing as Emily so I could get a hold of all her new and unique abilities. Compared to Corvo, who has access to more direct damage abilities like summoning rats and stopping time, Emily will appeal to players who like to play stealthier. Her Domino ability is the star of this set and allows players to link together targets into sharing the same fate, which completely changes how you approach any encounter. Her shadow walk ability is another favourite of mine because of all of its upgrades, allowing me to traverse into all of the hidden nooks and crannies of the environment as a cloud of smoke but also serving as a powerful weapon that can literally rip my threats apart. While I loved the diverse abilities of our two protagonists, their dialogue left me feeling disappointed. 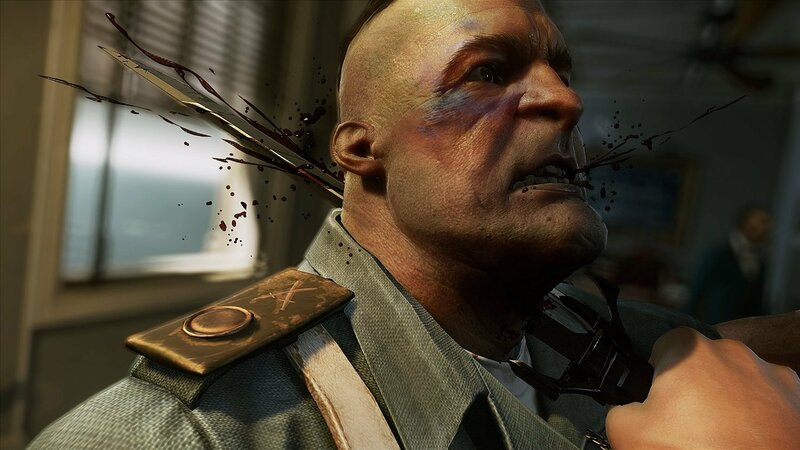 This is the first time the Dishonored protagonists have been able to speak and unfortunately, their performances come off as sub-par. Compared to the life and drama I felt from the world’s citizens and cast of villains, the two main characters suffer from a distinct lack of expression. Everything Emily and Corvo say is delivered in bland monotone and ultimately their individual dialogue offerings are just different ways of the saying the same thing. I would have loved to see some more development out of these characters, but instead I was left craving the dialogue choices of the first game. The key ingredient that made me fall in love with the original Dishonored was the land of Dunwall, and the new setting of Karnaca feels even better. 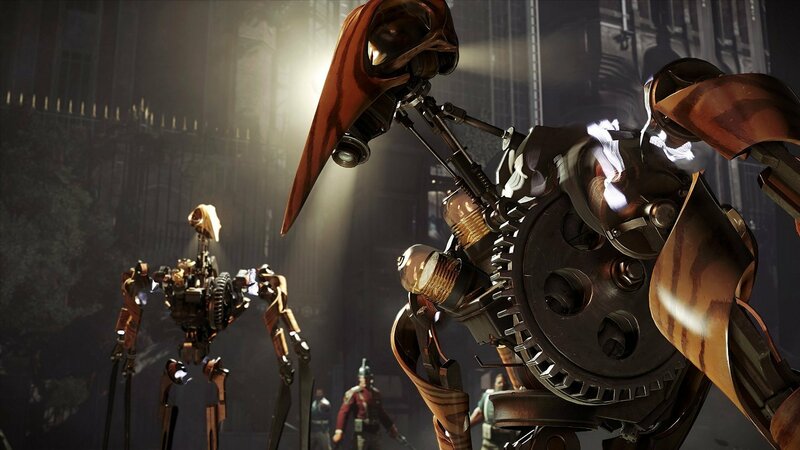 Brimming with colourful detail, architecture and even richer lore than the first, I recommend players take their time and soak in all that Karnaca has to offer because Dishonored 2’s missions only come to life when players explore the game’s various themed environments. By venturing into rundown buildings, dark alleys and listening in on conversations between citizens, players will quickly become informed on who their main target is for that mission and how their actions can affect the world by stopping them in either a lethal or non-lethal matter. Every action players make in the world of Dishonored 2 contributes to unlocking a corresponding ending. By killing everything in sight and assassinating key targets, players will be considered as High Chaos assassins. These decisions will also make the world behave differently, such as seeing more guards out on patrol because they know the mindset of the player is to fight them instead of stealthily infiltrating. My first run as Emily resulted in me achieving a low chaos ending. I always looked for the non-lethal way to eliminate my targets, but if any guards spotted me I quickly took them out with my sword before returning to the shadows. However, when I reached my high chaos ending with Corvo I felt cheated. I won’t spoil the endings I got in Dishonored 2, but I will say that I felt disappointed that all of the time I spent diversifying my playstyle only resulted in brief variations of the same ending I experienced as Emily. If I make a decision as a player to completely dedicate myself to a certain play-style, or even change my character, I want to be rewarded with an ending or epilogue that’s worth the weight of those choices and that’s where I’m left unsatisfied with Dishonored 2. While Dishonored 2 takes multiple strides to improve off of the original I’m left feeling only half of them hit the mark. 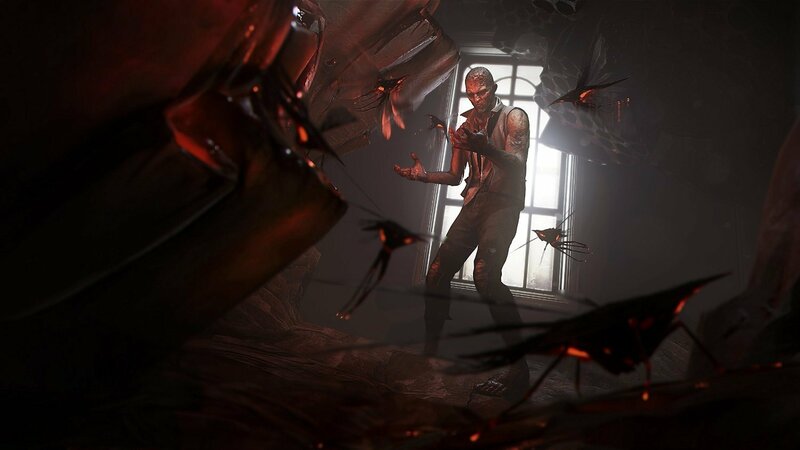 The gameplay and the world hooked me in exactly as before and I had high hopes for the story, but the decisive part Arkane Studios wasn’t able to execute on was the choice between playing as one of two characters. Since they have to experience the exact same missions, Corvo and Emily’s monotone dialogue and lack of diverse endings only resulted in them feeling merely like different ability sets when I reached the credits for a second time. I believe Dishonored 2 will still be loved by fans of the original who have been craving for more since the game’s reveal at E3, just don’t expect an Assassin’s Creed 2 jump in quality. Dishonored 2’s world and gameplay feel just as tight and diverse as the original.